Drunk trolls. Undead wizards. Faerie cannibals. Just another Tuesday for Simon Sharp. Simon is a teen orphan, living on the streets of New York City. He steals for food. He's worn the same clothes for two weeks straight. He's invisible to the world. But Merlin isn't of this world, and the wizard is keeping an eye on Simon. New Camelot is in danger. The birds speak of soldiers gathering in a hidden kingdom. The rumbling landscape tells him the dragon is awake. And hungry after his 1007 year nap. Soon it will be time to bring the boy from the big city to Scotland. In the meantime, Merlin will tend to the 149 other smelly, hormonal descendants of the Knights of the Round Table. He hates teenagers. That's fine. They hate him back. He thinks he can handle it. Until he meets Simon Sharp. Get swept away on an adventure in a world both familiar and fantastic. 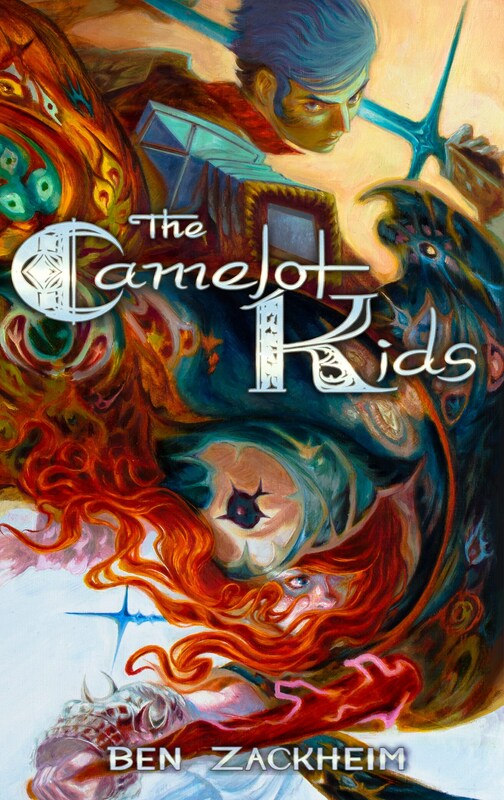 Get your copy of The Camelot Kids! 539 pages with beautiful illustrations by Ian Greenlee.